Green is a great color for Christmas on baby boys. 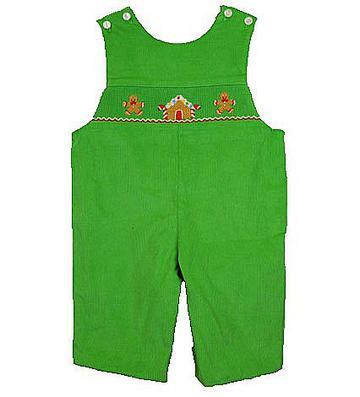 The green corduroy long jon jon is handsmocked at the chest with a gingerbread house and two gingerbread men. 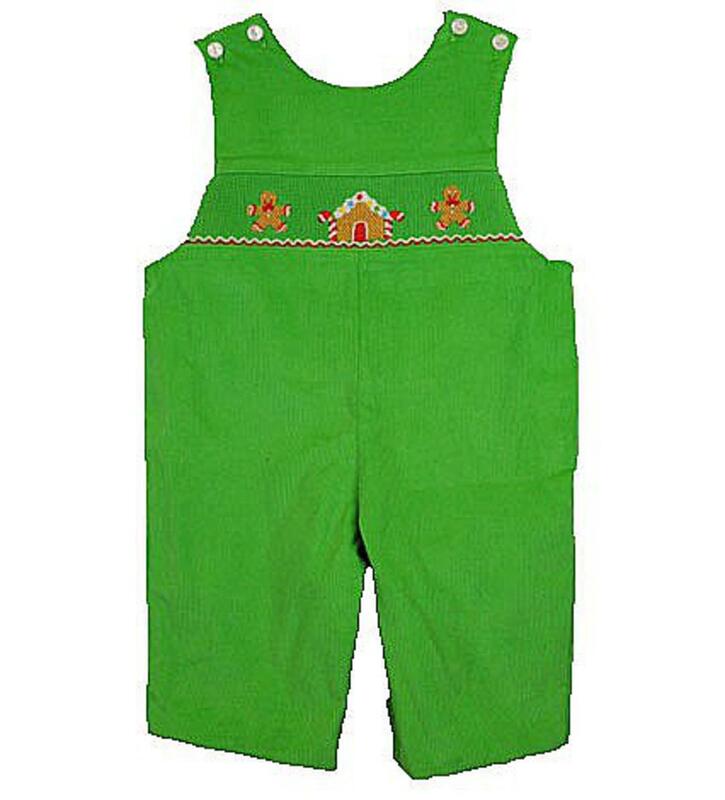 There is two buttons on each shoulder to accommodate getting over a childs head and snaps along the inside of the legs to change diapers easily. This adorable jon jon is 100% cotton and perfect to match with a white longsleeve turtleneck.